OK, it isn’t the most exciting thing to look at but I am trying to develop my hand tool woodworking skills and this is a starting point. I’m a big fan of Paul Sellers and follow his blog. He is an advocate of hand tools over power machinery in woodworking and I like his philosophy. His instructions on making the spatula are in a recent video of simple projects for the new woodworker. 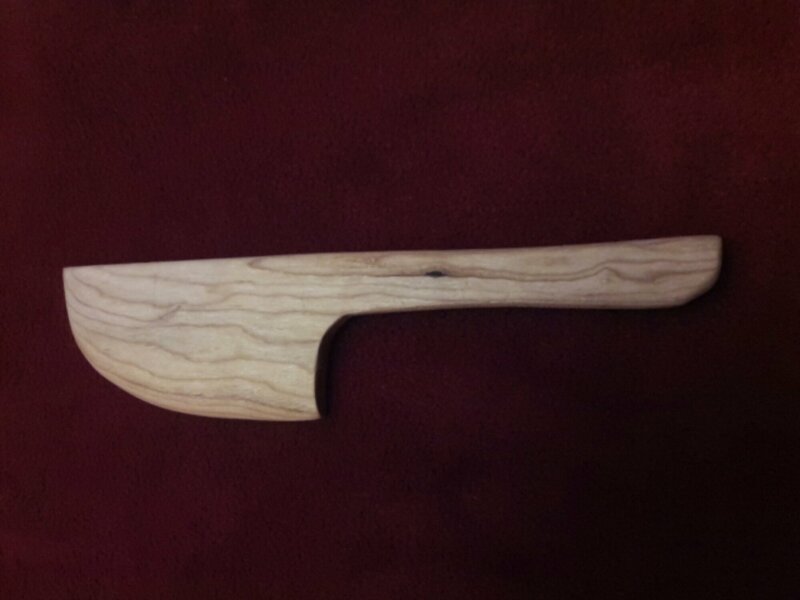 The spatula was made using just a coping saw to cut out the basic shape (which i just drew by hand) and then a spokeshave to round over the edge and shape the handle. I then sanded to a smooth finish and gave it a coat of vegetable oil. It hasn’t been used yet because I wanted to photograph it first but hopefully it will give many years of service. I made this Snowman at school. It is made from two white pom poms stuck together. First I made the bigger pom pom for the body. 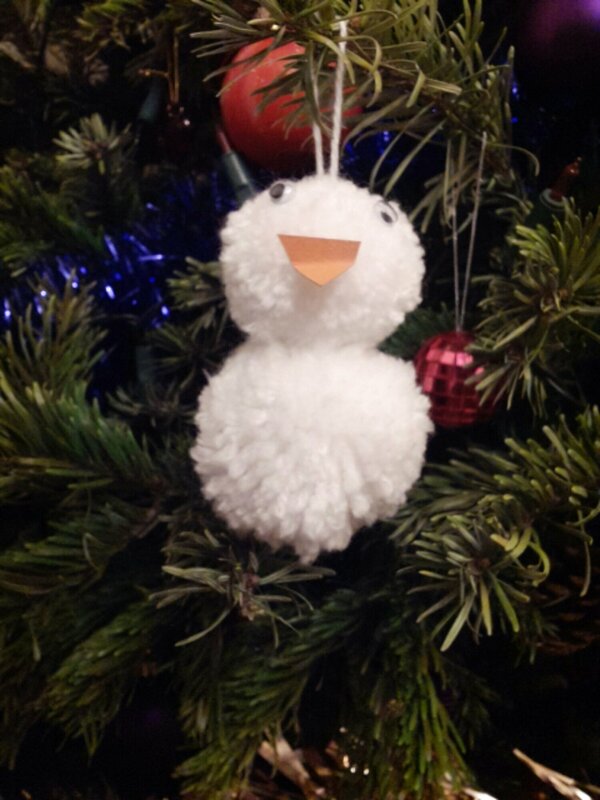 Then I made a smaller pom pom for the head and stuck them together to make the snowman shape. Next I cut out a triangle out of orange card and folded it over so that it stuck out like a carrot. Then I found two googly eyes and stuck them on along with the carrot nose. Sorry, it has been ages since anybody in this family has blogged anything. It has been frantic at work, followed by Christmas. Still, it’s all over with now so hopefully we can get back to making stuff again!